Maintenance and repairs are mostly done in garages, from cars to appliances and furniture. However, one thing that’s often overlooked until it’s too late is the garage door itself. A garage door is a moving, mechanical part of one’s home which is used quite frequently and is constantly exposed to heat, rain, and maybe even snow. As such, it is as vulnerable to wear and tear as any vehicle that you’re regularly maintaining inside the garage. Poorly maintained garage doors are more likely to have issues such as a broken spring, alignment issues, rust, and not being able to close or open completely. High heat and humidity, such as in warm places in Utah, could cause the electronics of the garage to malfunction, as well. Starting with the most basic, one should always observe their garage door and listen or look for any irregularities. 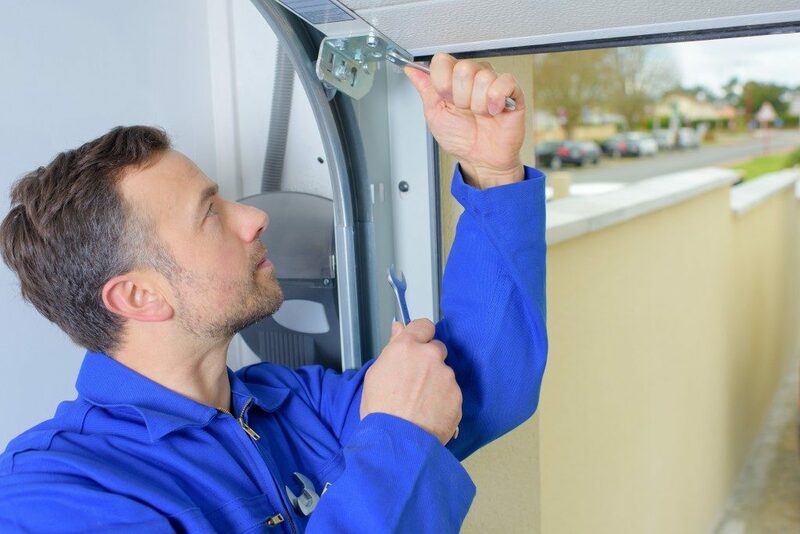 Perfectly-maintained and kept garage doors operate smoothly and quietly, and should not have any sudden movements or even slight misalignments when closing or opening. Whenever you can check on the garage door alignment if it closes or opens fully, and whether or not you hear irregular noise such as scraping or grinding. Garage doors have tracks guiding and enclosing the door itself. Make sure that there are no objects, debris or rust blocking the rust to prevent misalignments, as well as wear and tear on the garage door itself. A garage door is used at least twice a day and is operated at least a couple of hundred times a year. The constant opening and closing of the garage door result in vibrations that may loosen hardware. So make sure to check on brackets, frames, and tracks and make sure everything is screwed in tightly. Failure to do so would have you end up with either a misaligned garage door or one that’s suddenly just stop functioning altogether. Also, watch out for rusted parts and have them cleaned and polished if possible, but know when to replace them. Weatherstripping (the rubber strip at the bottom of the door) should also be cleaned and/or replaced when worn out to ensure that your garage is protected from dust and the elements. As you secure and tighten the non-moving parts, it follows that you should keep having the moving parts easier to move. Applying a lubricant spray and oil on moving parts (hinges, rollers, spring openers, pulleys, etc.) at least twice a year would make sure that your garage door’s operations go smoothly. Any rust or dirt should be removed before applying lubricant. Also, check on the cable and replace other faulty or worn moving parts (such as the rollers). Lastly, painting your garage door isn’t just an aesthetic decision. Paint provides a layer of protection from the elements, as well as rusting. Knowing the basics of garage door maintenance can save you from paying a hefty repair bill, and also ensure the safety of your garage and its contents. So make sure you follow these regular maintenance tips and prolong your garage door’s longevity and usefulness.